Error: This AL extension version for Visual Studio Code cannot be used with the specified server. 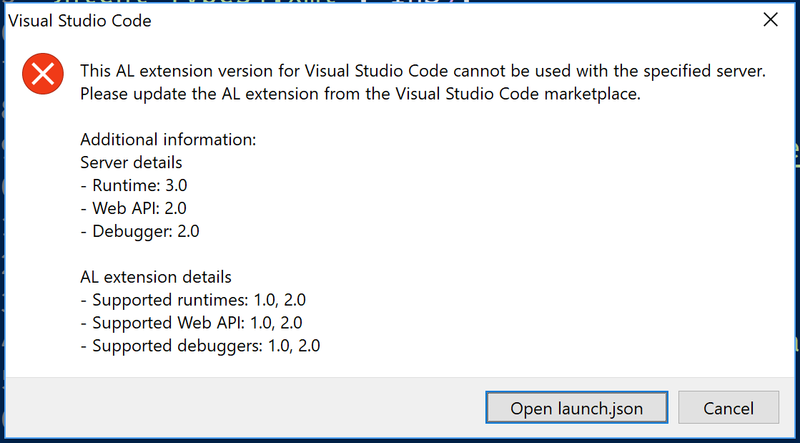 Please update the AL extension from the Visual Studio Code marketplace. This is how you might be notified if your ALLanguage.vsix is too old. Upgrade with a version that matches your deployment target.